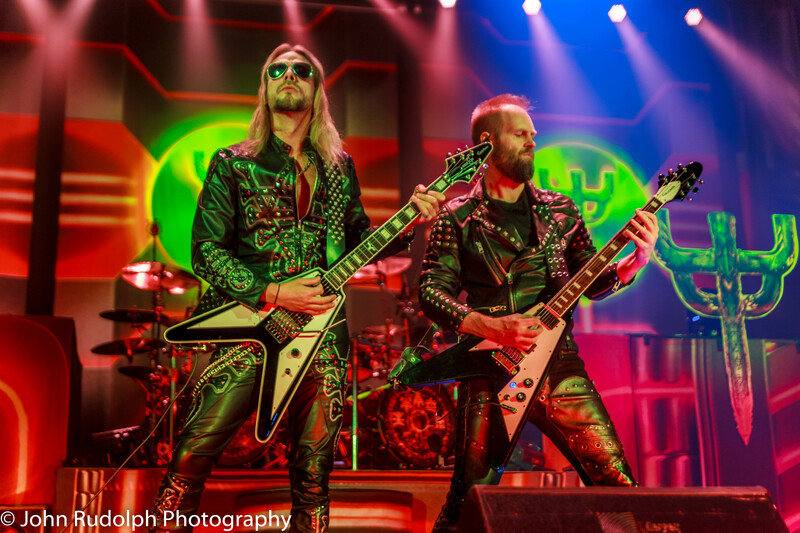 Wow, Judas Priest absolutely tore up the stage to a sold-out crowd at the ShoWare Center in Kent. 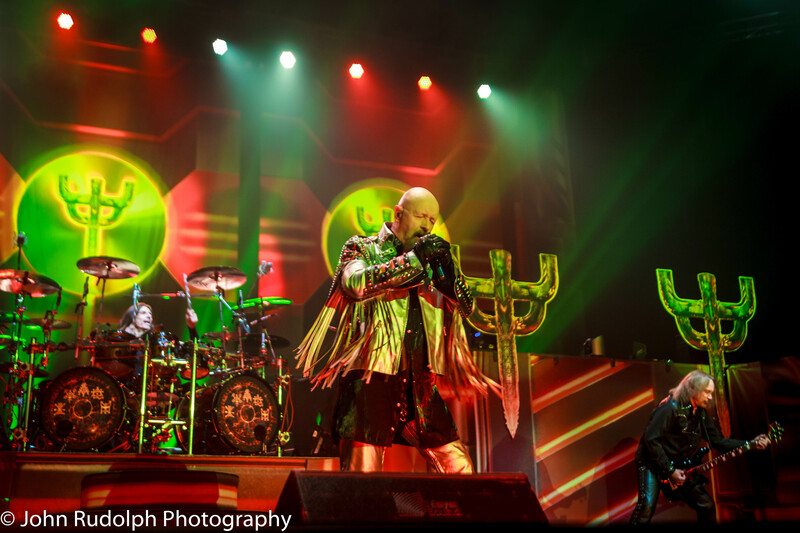 Yes, singer Rob Halford’s voice was still great. He’s still “Screaming for Vengeance” with the best of them. Saturday night’s concert was a reunion of sorts, not only for the musicians but for my friends and my wife. 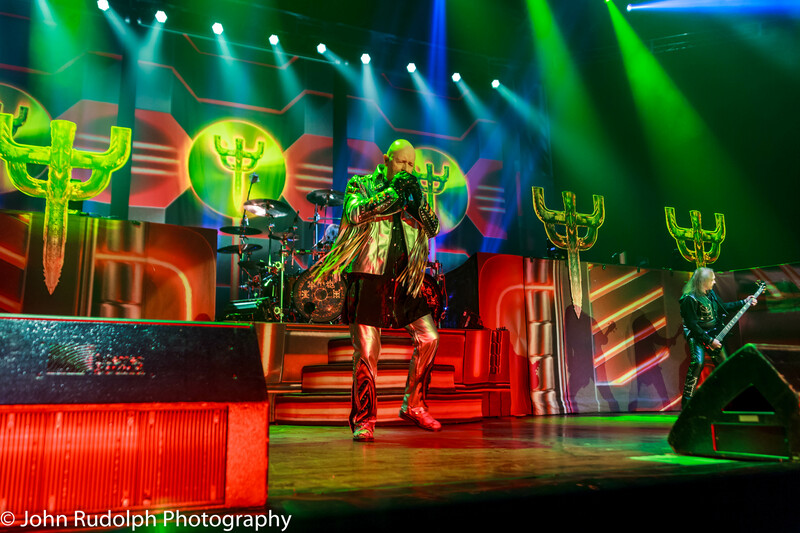 We have all enjoyed Judas Priest since we were kids, and seeing them again was fantastic. The crowd was super excited right from the first note of “Firepower.” We all loved “Living After Midnight” and “Hell Bent for Leather,” which they played incredibly, and the new record, Firepower, brings Priest back to the sounds that we love. 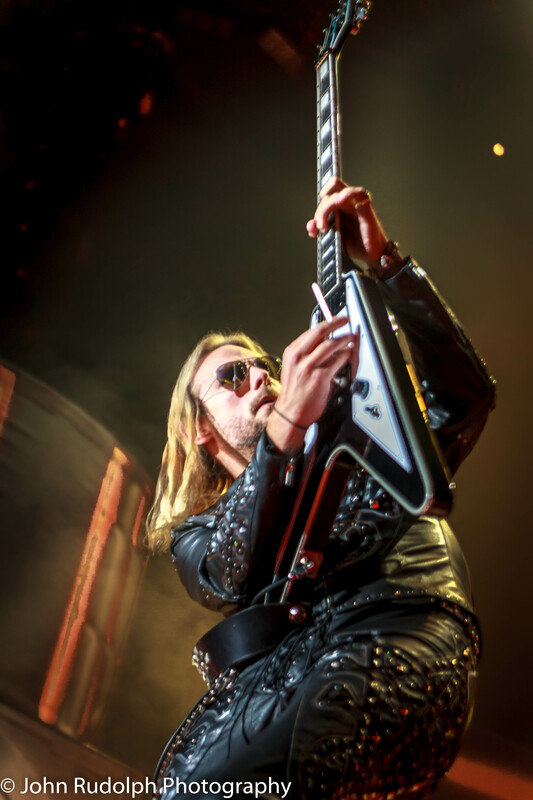 At the start of my shoot, I noticed guitarist Richie Faulkner standing at the side of the stage. He looked over at us photographers and he saluted. That was a nice touch, which is exactly what Judas Priest is known for. 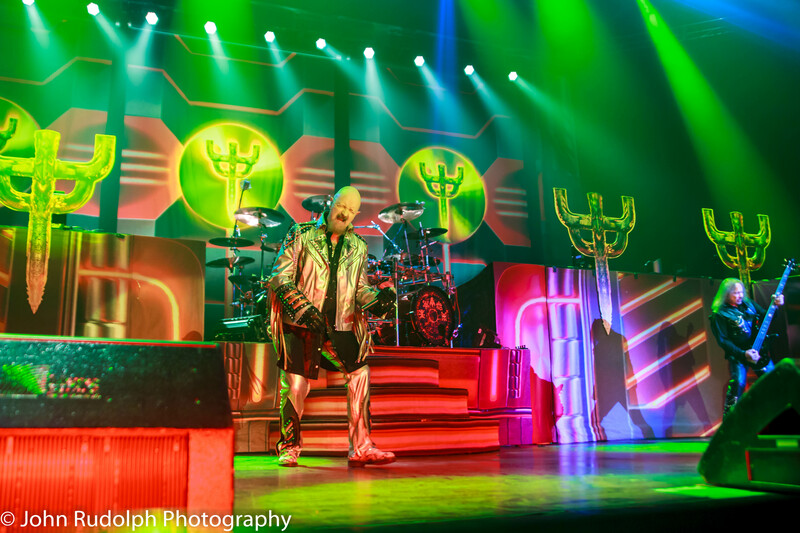 Right on cue, Rob Halford rode his Harley onto the stage at the start of “Hell Bent for Leather.” The crowd erupted with applause. 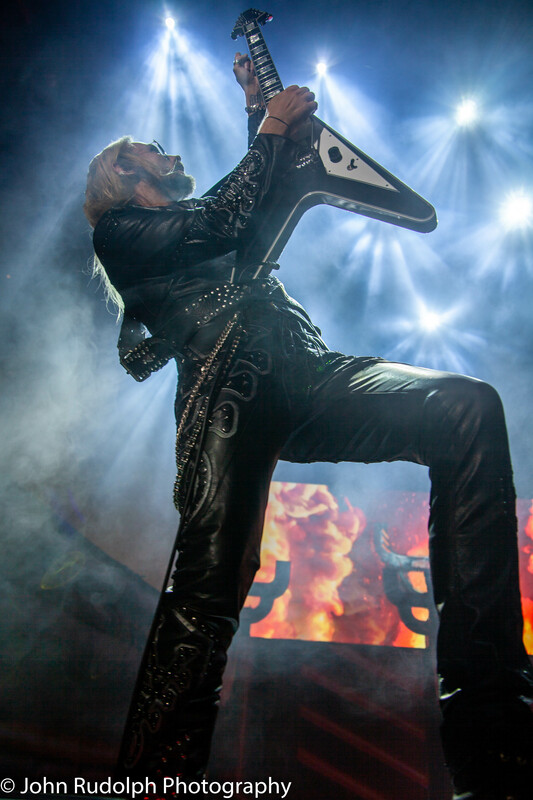 Ian Hill and Scott Travis have anchored this band for more than 30 years; Ian for more than 40 years. Don’t ask Ian how he’s done it for nearly 50 years! I asked him once during an interview in 2011. He jokingly gave me a hard time. 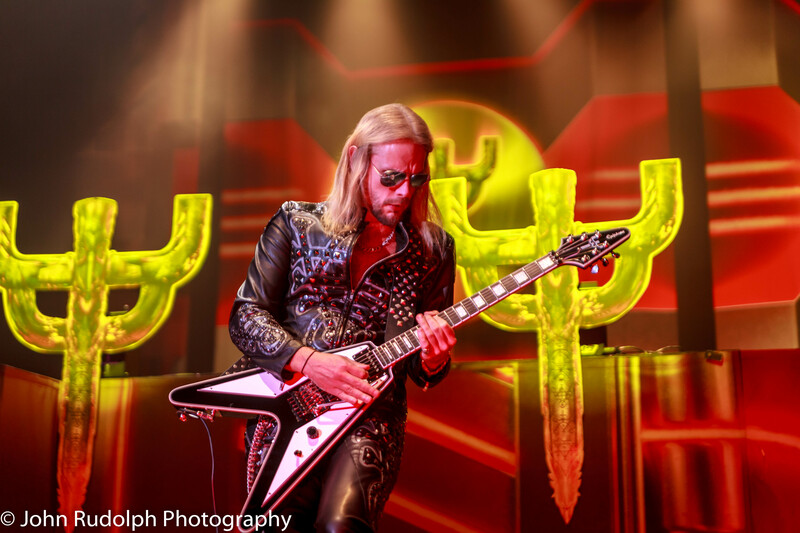 The concert finished with a real treat: Glenn Tipton, who recently retired from touring for health reasons. It was great seeing him play during the encore. Written by: John on 04/28/2018. Last revised by: BBS, our reviewer, on 04/29/2018. 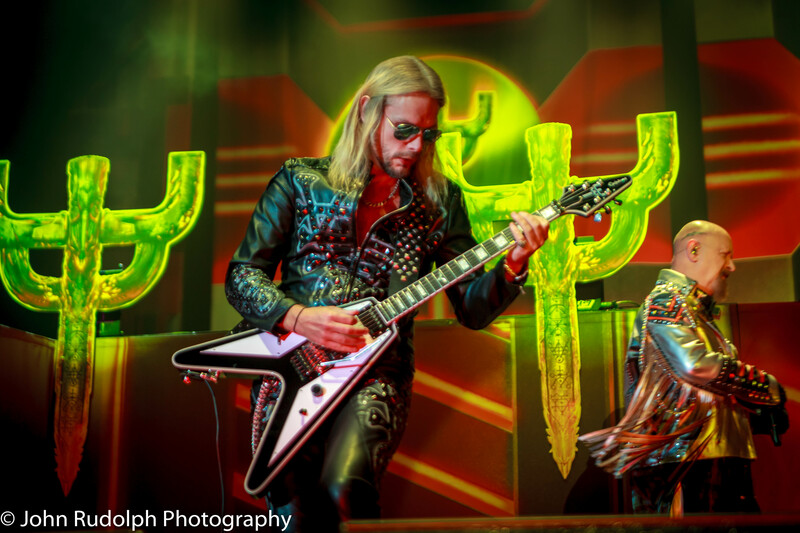 This entry was tagged 1970's, Classic, concert, judas priest, Metal, Photos by John Rudolph, Rock, showare center. Bookmark the permalink.